5292 points will be rewarded to you when you buy this item. 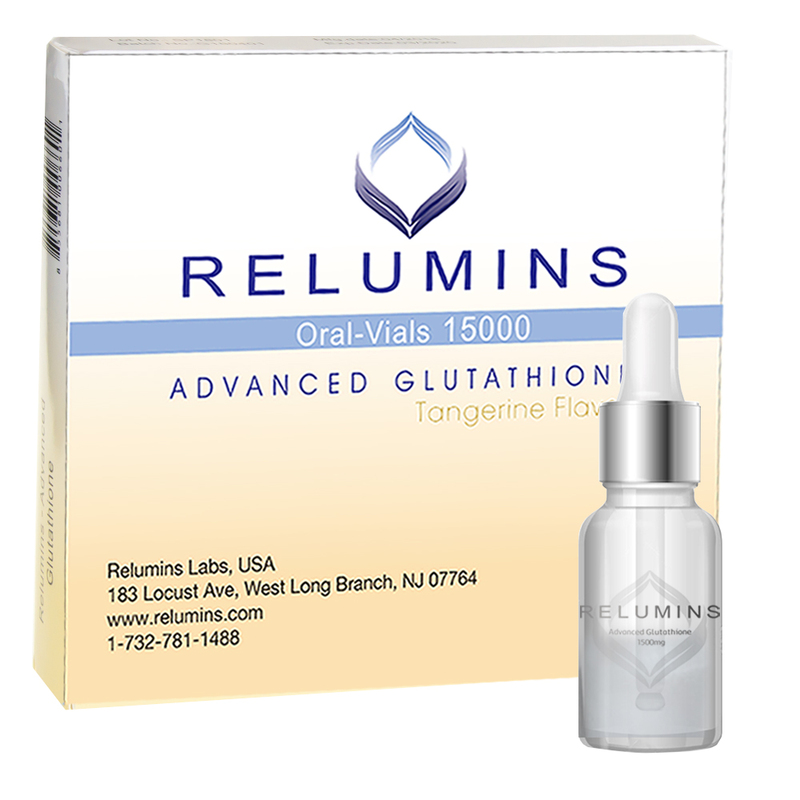 Introducing a revolutionary NEW product from Relumins Labs, the premier supplier of the finest Glutathione products available on the market today, the first ever, high-dosage Glutathione vial approved by the United States FDA, Relumins Glutathione Vials - New Advanced Formula 15000mg in Tangerine Flavor. 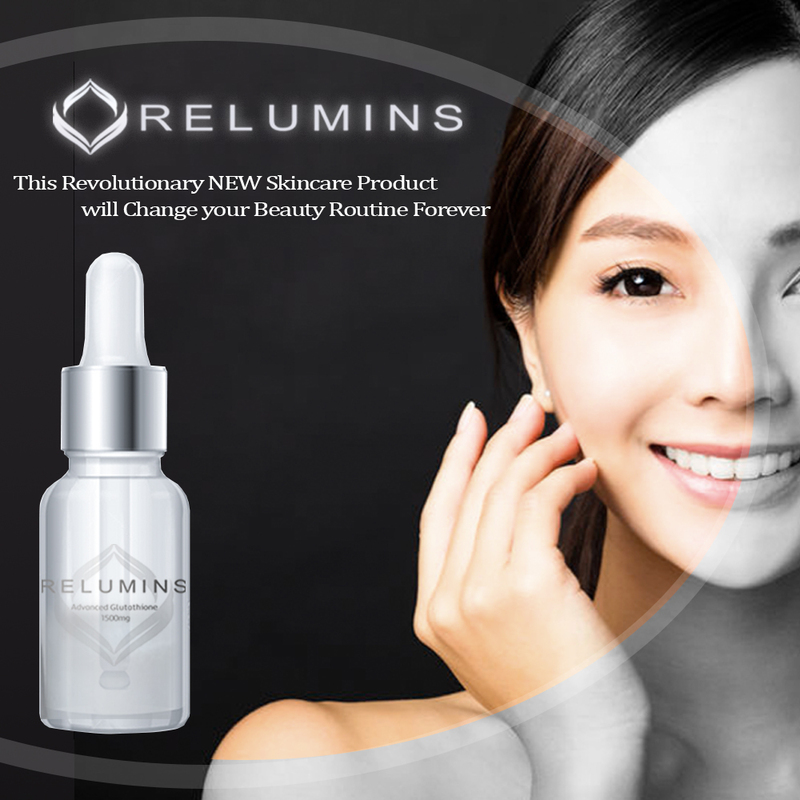 The new Relumins Glutathione Vials - New Advanced Formulas are 100% as effective as IV Glutathione, as well as compliant with FDA regulations and available to be shipped quickly within the United States as well as Worldwide. 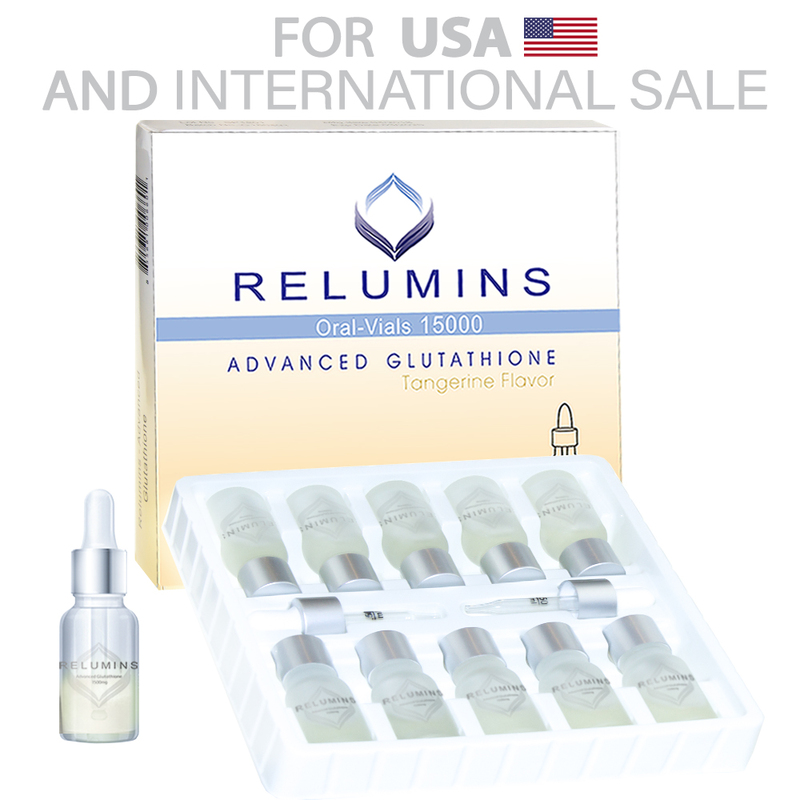 Relumins Glutathione Vials - New Advanced Formula are taken orally, when taken as a liquid, glutathione is absorbed through mucous membranes which quickly delivers a high-dosage of glutathione directly to the bloodstream and provides peak elevations of serum glutathione which is comparable to sublingual administration, glutathione IV or injection and with a delicious tangerine taste. 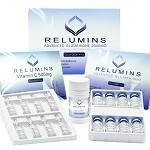 Each set contains two sterile oral administration droppers and ten sterile glass vials each containingRelumins Glutathione Vials - New Advanced Formula, which contain 1500mg Glutathione and 500mg Vitamin C Booster in Tangerine Flavor. 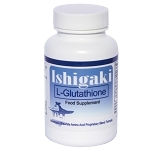 1500mg of Glutathione is twice as much as any other Glutathione available. 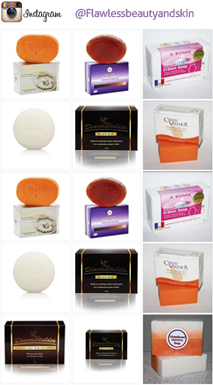 Glutathione competitively inhibits melanin synthesis in the reaction of tyrosinase and L-DOPA by interrupting L-DOPA's ability to bind to tyrosinase during melanin synthesis. 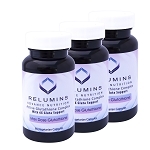 These results indicate that glutathione inhibits the synthesis and agglutination of melanin by interrupting the function of L-DOPA.It is the master anti-oxidant that helps fight free radicals that causes skin damages. 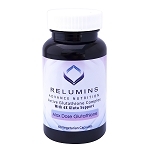 It also contributes to good liver function. 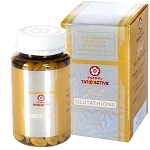 Glutathione is an extremely powerful antioxidant whose health benefits are too numerous to count. 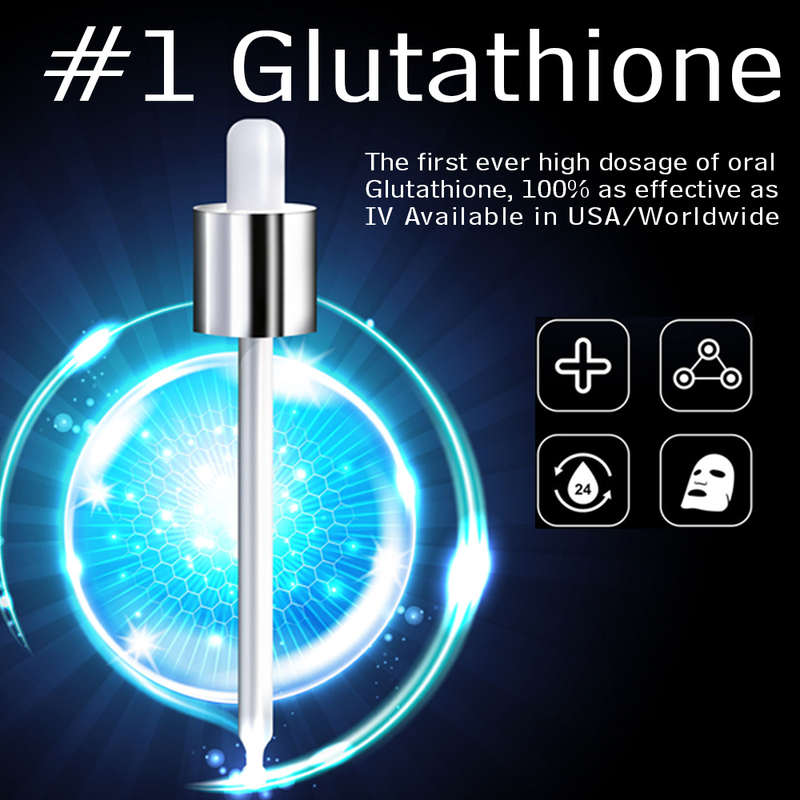 Glutathione is now at the forefront of skin lightening esthetics due to its virtually nonexistent risk of side effects and astonishingly natural results. 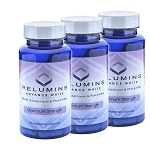 Place liquid in mouth then swallow.